A year ago or maybe a bit more, we`ve been hearing the media talking about a near future in which vehicles can go without a driver handling the steering wheel. But not only by media giants, like Google or Uber, even manufacturers such as Ford and Mercedes-Benz predict a future where autonomous vehicles can be driven without a person. Mercedes-Benz presented what they consider the truck of the future, which is called “Future Track 2025”. A model that represents a breakthrough in efficiency, security and networking. 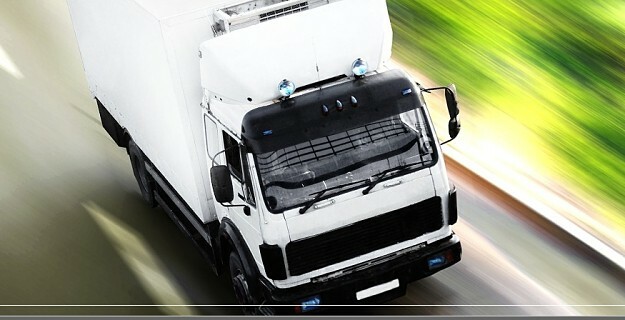 It is a vehicle with an automatic, integrated system that allows the driver to rest or perform other tasks meanwhile the truck is in charge of getting cargo to its destination, safely and efficiently. The prototype of Mercedes-Benz, as you can see in the link below, represents a revolution of traffic and infrastructure, for professional drivers and the road transportation sector. Among many other objectives and advantages, it ensures the highest level of traffic safety, promoting the creation of networks and intelligent data management, preserving resources and reducing emissions. Having in mind that over 90% of accidents are caused by human error. It has recently come to light, that the giant Google has a patent that describes a driverless vehicle for packaging transportation. As reported by the journal Quartz, Google pretends that the packaging recipients receive and type a PIN code at a corresponding locker, in the truck when it arrives to their door. The patent does not provide details about the vehicle autonomous operation. Although it refers to common elements of driverless cars or other vehicles prototyping: laser and radar sensors, video cameras, navigation maps, communication systems, connecting vehicles to an external controller, etc. Currently, the costs involved in creating a vehicle with this kind of system and driving it on the streets are very high. Which undoubtedly makes a mass production of driverless trucks still a dream. Legislation is still not prepared for this, in almost any country in the world. A few months ago the biggest problem in drones development and innovation, broke at the legislative level. In this case it does not look very optimistic. Governments, both local and national, are unsure about the idea of putting millions of human lives in the hands of robots. In case of driverless vehicles, for example: Current regulation takes for responsible, the person behind the wheel, driving. Imagine in case of an event or accident, the responsible will be the robot! Rejection by part of the sector. We cannot forget that millions of people are working as full-time professional drivers and certainly this type of technology will be rejected at the first sight. This is not something new in human history. Technological revolutions involve stop doing certain things and start doing other instead. Like manufacturers of carriages were jobless when cars appeared. Surely, professional drivers can do other things related to people and goods transportation, in which they are involved. In any case, it will be a long road where everyone have time to adapt, if they want to. However, the benefits are many: security and management, resource optimization and even in an environmental level. People with disabilities, either by age or disease, a group that is growing in number, anxiously await such solutions to change their lives, giving them the autonomy they had before. All these factors, in a short, medium term, would start leaning in favor of accepting driverless vehicles. We will begin seeing them as normal on our roads in about five or six years from now, I dare to predict. The first radical change, will come in the next 2-3 years. It will be unstoppable the introduction of electric cars, then the autonomous cars and probably much later they will gain the ability to move not only on land but also on other surfaces like water or air. In short term, we are facing an exciting future, if we make the best of it. And in this case, innovation must move businesses and entrepreneurs, to bet to this new world that awaits us.